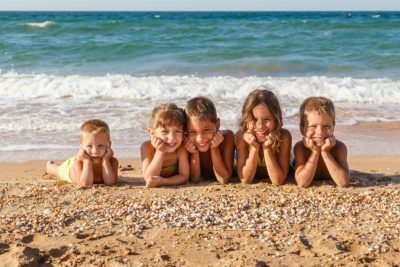 Vacation plans are being finalized, the kids are getting out of school and the weather is warming up- is your house ready to play? From setting up a summer entryway that can handle all of those beach towels, to making space for Popsicles in the freezer and a hammock on the porch, these 20 ideas will help your home and yard handle everything fun in the sun. 1.Summer-ize your entryway. Washable woven plastic bins make perfect containers for everything from beach towels and-flip flops to sunscreen and shades. Use larger bins to hold bulky items, and small baskets to corral little things like lip balm and car keys. A few wall hooks can handle the sarongs and straw hats, and a petite beach-inspired painting adds to the mood. 2.Keep beach towels rolled and ready to go. A stash of clean beach towels and cover-ups stored near the door makes packing for summer day trips super easy. 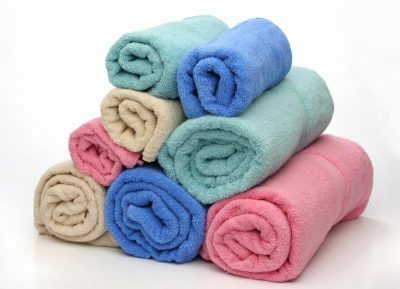 Keep bulky towels rolled and tucked into cubbies, lined up on the lower shelf of a bench or stowed inside a storage seat, and a big beach bag on a hook, ready to be filled. 3.Make room in the kitchen for summer essentials. Clear out the freezer to make room for the frozen-pop molds, and free up counter space for all of the luscious farm stand produce you’re bound to come home with. If you have children home on summer vacation, set up self-help stations for easy-to-prepare breakfast items (like cereal and fruit) and healthy snacks. 4.Swap out art for a big beach photo. A single oversize photograph of the ocean would make a summery statement in your living room — and you can even DIY it by blowing up one of your own vacation photos. To boost the beach mood even more, swap out your couch pillow covers for something in blue and white, and cover dark upholstered furniture in fresh white slipcovers. 5.Make a useful display of summer sun hats. Have an awesome collection of sun hats? Hang them on the wall in your entry, where they will be easy to grab on your way out the door- and where they can double as wall art. 6.Add extra sleeping space for summer guests. If you plan to host a crowd of overnight guests this summer, consider where you might be able to squeeze in a few extra beds. Tuck a few low beds under the eaves in a steeply sloped attic space, add a bunk for kids to get more out of your guest room, or swap out a couch for a sleeper sofa or daybed. 7.Make a summer reading nook. 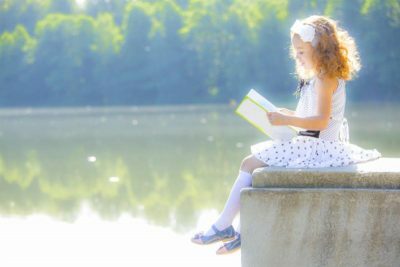 If you have school-age children, you’ve likely heard the term “summer slide,” which refers to the backslide in reading ability that can happen when a child doesn’t practice over the summer. Encourage summer reading by creating a comfy reading nook, complete with chair, book basket and a side table to hold a glass of lemonade. Bonus: Stock that basket with a selection of fun books that cater to your child’s interests — and yes, comics and graphic novels count too! 8.Mix up some spa water. Getting enough water during the day is especially important when the weather is hot- make reaching for a glass more appealing by mixing up a batch of fancy spa water in the morning, and sip it throughout the day. Try adding lemon or orange slices, sprigs of mint, cucumber or berries. 9.Give your bedroom a beach house vibe. Part of what makes staying in a beach house on vacation so relaxing (aside from, you know, the beach part) is the utter simplicity of having a clean and clutter-free place to lay your head at night. Capture some of that peaceful, easy feeling by giving your own bedroom a beach house-inspired makeover — think breezy blue walls, a woven pendant light and crisp white sheets. Keep a tray atop the dresser to contain small items, so you can be a little messy without letting things get out of hand. 10.Refresh your wardrobe. Do you have to paw through a pile of wool sweaters to get to your favorite summer skirt? Clearing the out-of-season items from your wardrobe (plus anything that doesn’t fit or is no longer your style) makes for smoother mornings. 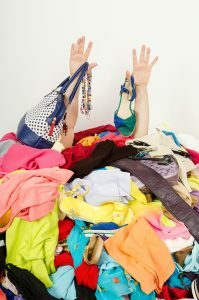 When clearing out your wardrobe, it can help to think like you’re on vacation: getting dressed is actually easier when you have fewer choices (as long as those select few items are all favorites). And if you go shopping for new items, make sure they will mix and match with what you already have. 11.Give the bath a mini makeover. 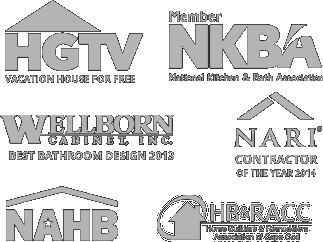 For a fresh start, begin by removing everything from the bathroom and giving the space a thorough cleaning. Fluffy white towels rolled up and placed in a basket look spa-like, and will ensure you always have a fresh towel within reach. Get rid of toiletries you no longer use or like, and put back only the few products you use daily. If you store your favorite products in a small zipper pouch, you can easily toss it into your suitcase for spur-of-the-moment weekend getaways. Finish your mini makeover by swapping out your soap dish for a big shell, and placing a vase with a big leaf (snip one from a houseplant) on the sink. 12.Make sports gear easy to grab. Balls, helmets and other sports-related gear can quickly get out of hand. Keep things in order by dedicating a storage spot (perhaps in the garage) to outdoor gear. Toss balls into a big mesh bin, contain smaller items in clear lidded boxes and stash everything else on wire shelves. A wall-mounted system like the one shown here can make the most of your space, and will keep gear off the floor, preventing damage from moisture. 13.Set up a summer rec room. Clear out some space in the basement, garage or part of the living room to make room for board games and cards, or even a Foosball table, pool table or ping pong table. Don’t have the extra space? Transform a formal dining room into a games room between meals by stocking the shelves with board games or setting up a table tennis net — just be sure to move fragile items out of the way before the games begin! 14.Turn the porch into your second living room. Make your porch as comfy as possible with ample seating, fresh cushions, candles, fresh flowers and a throw for chilly evenings. If you don’t enjoy your porch as much as you would like because of bugs, you may want to consider adding an overhead fan (mosquitoes and flies tend to stay away from moving air) or even have your porch screened in. 15.Hang a few extra hooks outdoors for drying beach towels. Stop those wet and sandy beach towels before they make it in the door with a few well-placed hooks outside. Once the towels are dry, you can easily shake out the sand and reuse them, or bring them in to wash.
16.Prep your outdoor dining area. Scrub your outdoor dining set, add cushions to the chairs and pick up a caddy for toting silverware and other essentials from the house. For a backyard party, snip some blooms from around the garden to decorate the table — it’s less expected to have flowers on an outdoor table, which makes it seem instantly fancier (but secretly takes almost no effort). 17.Boost your backyard’s party appeal. 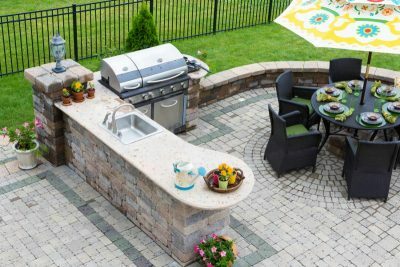 Why not make this summer the year you finally get that outdoor feature you’ve been daydreaming about? Fire pit, grilling area, pizza oven, outdoor shower, movie projector, hot tub — the possibilities are practically limitless. And if you run into a budget issue, think creatively before giving up altogether. For example, purchase a ready-made fire bowl instead of having a pit custom built, or project a movie onto a big white sheet instead of shelling out for a pricey movie screen. 18.Add a kid-friendly feature. Encourage kids home on summer break to spend more time outdoors by adding a few creative play areas to explore. It could be something as simple as a rope swing, messy art area or collection of yard games; or as big as a tree fort, climbing structure, playhouse, sandbox or basketball court. And don’t forget to check your local parents’ group or Craigslist listings before shopping new; kids grow out of outdoor toys and games quickly, so it’s usually easy to find used items in good condition. 19.Add flexible shade to outdoor spaces. Having the right shade cover can make a big difference in how often you use your outdoor space, especially during the hot days of summer. A flexible shade sail or free-standing umbrella is ideal, since it will allow you to move the shade right where you need it. 20.Hang a hammock or swinging chair. 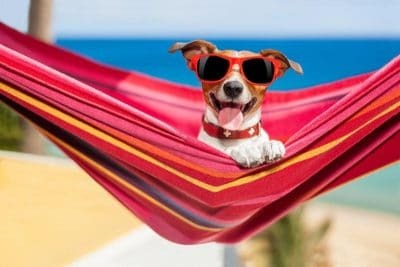 Just looking at a hammock or hanging chair is relaxing, and nothing beats hanging out on one on a lazy summer afternoon. If a traditional hammock is not your style, try something a little different, like the hanging platform bench.